Fitness video games—think Wii Fit or Dance Dance Revolution—are commonly associated with adolescents. These exercise programs (also called exergames) use virtual reality software to track body movements, allowing a user to interact with the activity presented on a TV screen. 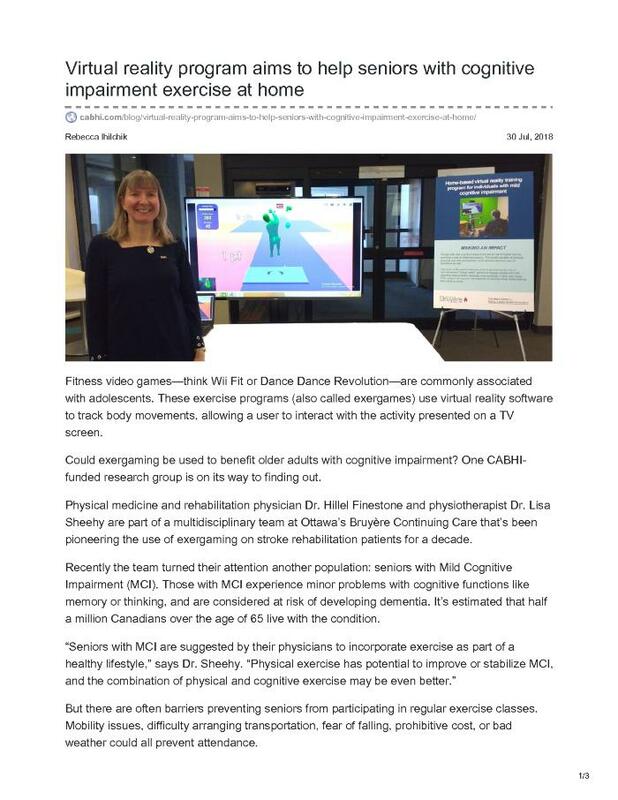 Could exergaming be used to benefit older adults with cognitive impairment? One CABHI-funded research group is on its way to finding out.